Two weeks before what was to be her wedding day, 20-year-old Regina Allen Elsea was crushed to death in a robotic machine at a manufacturing facility that stamps metal parts for Hyundai and Kia vehicles in Cusseta, Ala. Following OSHA's investigation of Ajin USA, the agency issued citations for 23 willful, serious and other-than-serious violations, including 19 egregious willful violations. 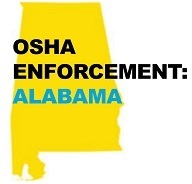 OSHA also cited two staffing agencies responsible for placing Elsea at the factory as a temporary worker – Alliance Total Solutions LLC and Joynus Staffing Corp. – for two serious safety violations each. Collectively, the three companies face $2,565,621 in penalties for the federal safety and health violations. The willful citations issued to Ajin USA by OSHA were for failing to: use energy control procedures to prevent machinery from starting up during maintenance and servicing; shut down a robotic cell according to safety procedures before allowing workers to enter it; provide safety locks to isolate hazardous energy; and use proper machine guarding to protect workers from crushing and amputation hazards. The agency has also placed Ajin USA in its Severe Violators Enforcement Program, which focuses on employers that endanger workers by committing willful, repeat or failure-to-abate violations. OSHA cited Alliance and Joynus for failing to use specific safety procedures to control potentially hazardous stored energy during maintenance and servicing and not providing or ensuring employees had locks to properly shutdown machinery. In 2015, OSHA Assistant Secretary Dr. David Michaels traveled to Korea and met with Hyundai and Kia's top managers, warning them of hazardous conditions at their suppliers, explaining that the automobile firms' production policies were endangering workers at the suppliers’ factories. For more information, see the news release. OSHA has issued a Request for Information on workplace violence in healthcare and social assistance settings. 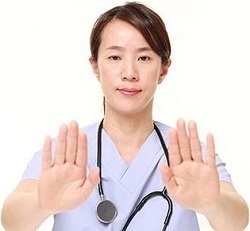 According to a recent Government Accountability Office report, the rate of workplace violence against employees providing services in the healthcare and social services settings is substantially higher than private industry as a whole. The RFI seeks comments on the extent and nature of workplace violence in these settings and the effectiveness and feasibility of methods used to prevent such violence. Comments and materials may be submitted by April 6. See the Federal Register notice for submission details. The agency has also scheduled a public meeting on Jan. 10 to discuss strategies to reduce violence in these workplaces. The meeting will allow workers, employers and other stakeholders to describe their experiences with workplace violence, and encourage discussion among stakeholders. Interested parties may register online. Central Transport LLC has reached a settlement agreement with OSHA to improve forklift safety at the company's more than 100 shipping terminals nationwide. Several OSHA inspections of the company's terminals have found damaged and defective forklifts being used, exposing workers to crushing or struck-by injuries. Central Transport has agreed to hire an independent third-party monitor to evaluate and improve the company's existing procedures for maintenance, operator inspections and safe operation of powered industrial trucks. The company also must submit written compliance reports to OSHA, allow the agency to conduct monitoring inspections, remove defective forklifts from service, and pay $165,400 in penalties. Read the news release for more information. The U.S. Postal Service has been cited for six health violations after an OSHA inspection of the Brooklyn South Carrier Annex in Brooklyn, Md. Inspectors responded to a complaint alleging workers were exposed to blood and other potentially infectious bodily fluids while handling packages labeled as containing biological infectious materials. The postal service failed to implement a written bloodborne pathogens exposure control plan and hazard communication program, and did not properly train workers on bloodborne pathogen protection. The USPS was proposed penalties totaling $342,059. For more information, read the news brief. OSHA recently cited two global employers after finding that their workers continued to suffer severe injuries, despite similar previous incidents. For the second time in less than two months, federal safety and health inspectors found a worker at a commercial laundry equipment manufacturer had suffered an amputation because a machine lacked adequate safety guarding. In a previous investigation of Ripon, Wis.-based Alliance Laundry Systems, OSHA learned that a grommet-cutting machine severed an employee's right index finger. In the latest investigation, the company was found to have returned a hydraulic press to operation, without adding safety guarding, after an employee lost a fingertip in the machine. OSHA proposed penalties totaling $124,709. Details are in the news release. In another recent amputation case, OSHA proposed penalties of $86,942 for one repeated and two serious safety violations to Kerry Inc., a global food products company. OSHA found that just six weeks after a machine in the company’s plant in Melrose Park, Ill., amputated a maintenance worker's left hand, the company reported a second worker's right forearm suffered multiple fractures from another machine. Investigating the injuries, OSHA found, in both instances, that the company allowed workers to service machinery without ensuring proper lockout/tagout procedures. For more information, read the news release. OSHA cited SSA Pacific, a Seattle-based cargo handling company, following the June 2016 death of a 48-year-old longshoreman. The worker fell 10 feet onto the metal deck of a bulk carrier cargo ship. OSHA cited his employer for willfully failing to protect its workers from falls into hatches and cargo holds. Inspectors who boarded the vessel found numerous hazardous areas where no netting or fall protection measures existed. OSHA has cited SSA Pacific for similar violations in Oregon and Florida in the past three years. For more information, read the news release. A chemical technician working for Crystal Finishing Systems died after an automated crane pinned him between the machine's hook and load bars. 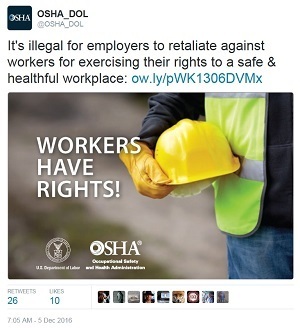 OSHA cited the Mosinee, Wis., aluminum coatings employer with 10 safety violations for failing to: guard machines to prevent workers from contacting operating parts; provide personal protective equipment; train workers about hazardous chemicals; and protect workers from walking-working surfaces hazards. The company was proposed fines of $171,169. For more information, read the news release. An Occupational Safety and Health Review Commission judge approved a settlement agreement between OSHA and Walker International Events after the company contested safety citations. The Florida-based events company was issued 14 serious violations of safety standards after an outdoor circus tent collapsed during a severe thunderstorm in Lancaster, N.H. The company ignored repeated warnings of severe storms. Walker International contested citations issued for violating the agency’s General Duty Clause and electrical standards. Under the terms of the agreement, the company: has accepted the citations; confirmed the violations have been corrected; will pay the $24,000 fine; and will not resume operations unless it implements a safety and health program that includes procedures for safely installing outdoor tents. Read the news release for more information. In a separate case, an administrative law judge affirmed nine violations and $344,960 in penalties assessed to J.C. Stucco and Stone. The Lansdowne, Pa., masonry contractor was cited after two OSHA inspections in 2014 found workers exposed to life-threatening scaffolding hazards. J.C. Stucco accepted the citations but requested a hearing with the Occupational Safety and Health Review Commission to examine the appropriateness of the proposed penalties. The Commission upheld the proposed penalties. J.C. Stucco has been cited 41 times since 2011, and was placed in OSHA’s Severe Violator Enforcement Program. See the news release for more information. Virginia Occupational Safety and Health issued IMS Gear Holding Inc. in Virginia Beach $54,765 for exposing workers to workplace hazards. 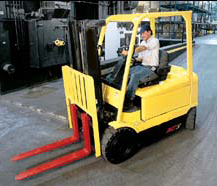 VOSH inspectors determined that the company failed to assess workplaces to determine if hazards were present, or likely to be present; did not ensure lockout/tagout devices were fastened to each energy isolating device; failed to provide quick drenching and adequate eye washing stations for employees working with corrosive materials; and failed to ensure safe operation of forklifts. Kentucky Occupational Safety and Health inspectors issued $73,800 in penalties to United Parcel Service in Louisville for safety and health violations. Kentucky OSH inspectors concluded that the company exposed workers to fall hazards by failing to have a guardrail on an open-sided platform more than six feet above the ground, and failed to maintain a restroom in a clean, orderly and sanitary condition. OSHA recently issued a final rule establishing procedures and time frames for handling retaliation complaints under the Moving Ahead for Progress in the 21st Century Act. MAP-21 protects workers of automobile manufacturers, part suppliers and car dealerships who have been fired or otherwise retaliated against for providing information about motor vehicle defects or violations of motor vehicle safety standards. A fact sheet on MAP-21, available in English and Spanish, provides workers with instructions on how to file an OSHA complaint. Read the news release for more information. 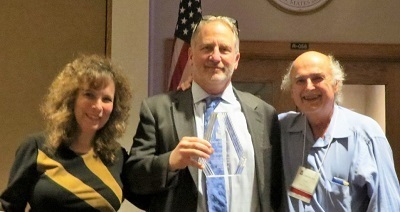 OSHA Deputy Assistant Secretary Jordan Barab (center) receives a Lifetime Achievement Award presented by Marcy Goldstein-Gelb and Peter Dooley of National COSH. The National Council for Occupational Safety and Health presented OSHA Deputy Assistant Secretary Jordan Barab with a Lifetime Achievement Award during the organization's annual conference held in Baltimore Dec. 6-8. Barab and others were honored during the three-day conference, where more than 250 family members, union representatives, occupational safety and health professionals and members of COSH groups and workers' centers discussed the need for better safety protections for U.S. workers. National COSH also honored other worker safety advocates, as well as the family of Roendy Granillo, a construction worker who died from heat exhaustion last year in Dallas. Cameron General Contractors is now one of ten employers in New Mexico accepted into OSHA's Safety and Health Achievement Recognition Program. The company develops, designs, constructs, and manages independent living retirement projects throughout the United States. Cameron was awarded its first SHARP certification in July after working with OSHA's On-site Consultation Program at its Coronado Villa construction site in Albuquerque. As a result, the company improved its safety and health program to reduce hazards, and implemented a positive safety culture among the sub-contractors working on the job site. Through SHARP, all seven sub-contractors were required to have an on-site consultation visit. For more information, see the success story. OSHA recertified the Presbyterian Home of Central New York in New Hartford as a Star worksite in the agency's Voluntary Protections Programs. The 236-bed skilled nursing facility is the only nursing home in New York state to achieve VPP Star status and is one of only eight resident care facilities in the country with this recognition. Employers and workers at Star worksites demonstrate exemplary achievement in the prevention and control of occupational safety and health hazards through the development, implementation and continuous improvement of their safety and health programs. OSHA's Outreach Training Program and CPWR - The Center for Construction Research and Training have developed a new OSHA 30-hour construction training elective course: Foundations for Safety Leadership. Responding to a training gap identified by contractors, unions and other industry stakeholders, FSL is designed to introduce construction workers, particularly foremen and lead workers, to five critical safety leadership skills needed to improve jobsite safety climate and safety outcomes. The course stresses the importance of leading by example, engaging and empowering team members, listening and communicating effectively, coaching and providing feedback, and recognizing team members who go above and beyond for safety. The FSL course will be available on OSHA’s Outreach Training Program webpage starting January 1, 2017.